What are Volume 3D Lashes? 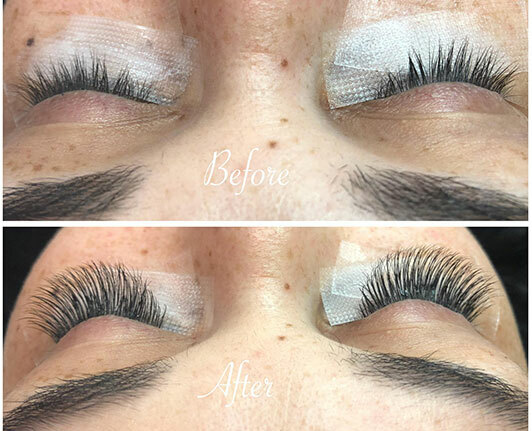 This method includes adding multiple lashes to one single eyelash. It gives your lashes a fuller, more dramatic look. This is perfect for someone who doesn’t have a lot of lashes or bald spots. Take a look at the before and after pictures below to see the amazing results and call today for your appointment.